Dr Richard Mansfield graduated from Leeds University Medical School in 1990. Having completed his early training in Yorkshire he moved to the South West to commence his Cardiology Training through a number of posts in Swindon, Bath and Southampton. In 2001 he completed a 2 year British Heart Foundation Junior Research Fellowship at University College London which led to the award of MD with Commendation. In November 2001 he was appointed as a Consultant Cardiologist at the Royal United Hospital Bath. His main interest is coronary artery disease and in 2006 he spent 3 months working in St Katherinas Hospital, Eindhoven, Netherlands as part of their active coronary intervention programme. He has been the Clinical Lead for Cardiology in Bath during which time he established the Percutaneous Coronary Intervention (PCI) programme at the Royal United Hospital in March 2006. In addition to this he has a keen interest and considerable experience in many aspects of cardiology including arrhythmia (palpitation), heart valve disease, hypertension, heart failure, cardiovascular risk and screening. 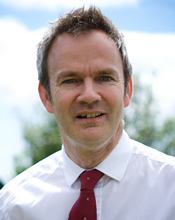 Dr Mansfield is actively involved in Undergraduate and Postgraduate Medical Education and holds a number of appointments including Undergraduate Tutor at the Bath Academy, Educational Supervisor and Specialty Tutor at the RUH Bath NHS Foundation Trust and is an Honorary Senior Lecturer in the Faculty of Health Sciences, University of Bristol. He has previously been the Training Programme Director for Cardiology in Severn Deanery. Whilst continuing to deliver a high quality NHS service Dr Mansfield also has a successful private practice at The BMI Bath Clinic and CircleBath. In his spare time he travels widely and is a keen photographer.